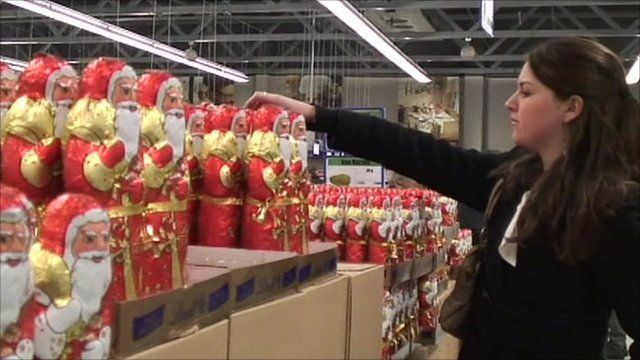 Weaker Euro helps Swiss Christmas Jump to media player If you have left it to the last minute and still have some Christmas shopping to do, you may be unlikely to go to another country to buy presents but that is exactly what some Swiss shoppers are doing, thanks to the weak Euro. Shoppers across Europe have been taking to the streets in a last minute frenzy of Christmas shopping after snow and freezing conditions kept many away last week. Stores in the UK have reported their busiest day of the year but some in the retail industry fear it will not be enough to rescue the vital holiday season.